Midwives do more than deliver babies. The motto of the American College of Nurse Midwives (ACNM) is “Today’s Midwife: With Women, for a Lifetime.” Nurse-midwives support women during pregnancy, labor, delivery, postpartum and afterward. Typically, they learn about the woman and her pregnancy during several prenatal visits. During the delivery, they stay with the woman throughout labor and after the baby is born. Midwives also provide healthcare services to women of all ages, from those who recently began menstruating to women past menopause. Services they provide include health check-ups, screenings, prescriptions, vaccinations, and birth control. Do Midwives Only Deliver Babies at Home? A common misconception still exists that midwives only deliver babies at home. Most actually work within the hospital environment. In fact, according to the ACNM, 95% of births attended by midwives take place in the hospital. Arkansas has a growing number of certified nurse-midwives practicing at Springdale’s Willow Creek Hospital and the University of Arkansas for Medical Sciences in Little Rock. Samantha Corral recently joined Creekside Center as a nurse-midwife. Wherever they work, nurse-midwives are experts in low-risk, healthy birth and know when it is appropriate to transfer a woman to a higher level of care. Can Midwives offer Pain Relief to Women during Labor? Nurse midwives are licensed to prescribe a full range of medications and treatments. Whether women wish to use pain relief methods such as relaxation techniques, IV, epidural, or other medications, midwives will work with the expecting mother to develop a birth plan that best fits her needs. Midwives will also provide women with information about the different options available if any changes to the birth plan become necessary or if the patient changes her mind. If a woman wants a vaginal delivery, with or without medication, nurse-midwives are trained to assist. What are the Outcomes of Midwife-assisted Births? Research on pregnancy and childbirth has found that midwife-led care results in better patient satisfaction and lower health-care costs. In the U.S., each state has specific regulations on how midwives receive credentials, where they can work, and how they could access hospitals. A study by the University of British Columbia found that states that had laws to promote integrated care between midwives and physicians correlated with decreases in cesarean deliveries, premature births, and newborn deaths. How does Arkansas Compare in the Field of Midwifery? The University of British Columbia study issued a report card ranking each of the states on the quality and integration of their midwife care. Midwifery care across the U.S. still has much work to do to integrate better with the health-care system. Washington took first place but ranked just over 60%. Arkansas received a score just above 30%, placing higher than 20 other states. 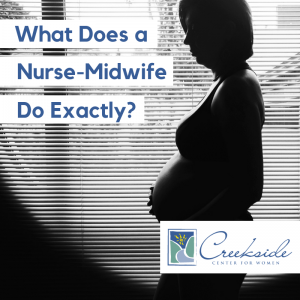 What Training do Nurse-Midwives Receive in Arkansas? Arkansas is an affiliate member of the American College of Nurse-Midwives, which represents Certified Nurse-Midwives and Student Nurse-Midwives in the state of Arkansas. Certified nurse-midwives need a master’s degree and to pass the American Midwifery Certification Board exam. An increasing number of nurse-midwives have or are working toward their doctorates in nursing. At the University of Arkansas in Fayetteville, the Eleanor Mann School of Nursing offers an on-campus Bachelor of Science in Nursing degree, and an R.N. to B.S.N. degree-completion program, a Master of Science in Nursing degree and a Doctor of Nursing Practice. All the degrees are delivered online through the Global Campus with a clinical component.